A mammogram takes an X-ray picture of the breast and can find changes in the breast even when they are too small for you or your healthcare provider to feel or see. For most women, the mammogram results will be normal. Why have a screening mammogram? In Ontario, breast cancer is the most common type of cancer in women. As women get older, the chance of getting breast cancer rises. Mammograms can help to find small breast cancers before there are symptoms. If breast cancer is found at an early stage there is a high rate of successful treatment. As well, for many women, finding cancer early may allow for more treatment options, such as breast conserving surgery or less aggressive treatment. How effective are screening mammograms? 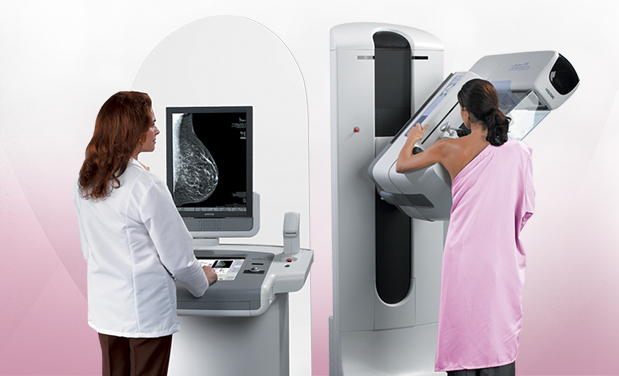 Mammograms are the best way to find breast cancer early. But, they are not perfect. They may miss some cancers. Also, some cancers develop in the interval between screens. However, many studies have shown that regular mammograms reduce the risk of dying from breast cancer. Some cancers that appear on a mammogram may never progress to the point where a woman has symptoms during her lifetime. Therefore, some women may have surgery or treatment for a breast cancer that would never have been life threatening. Not all cancers found at screening can be cured. 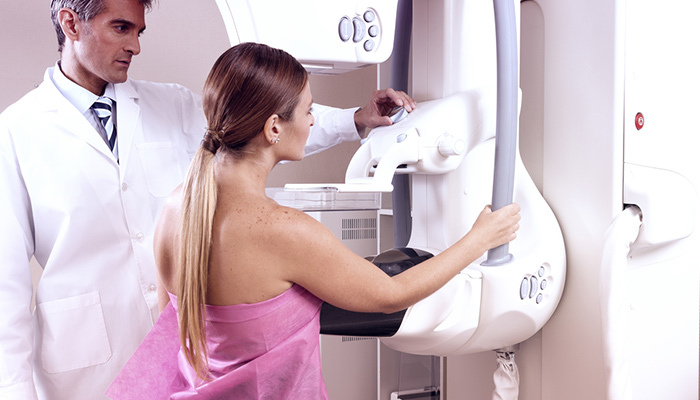 When should women have screening mammograms? In Ontario, it is recommended that women aged 50 to 74 have a screening mammogram, generally every two years. Evidence shows that women aged 50−74 benefit most from regular mammograms. The evidence for mammography for women aged 40−49 is not as strong as for women aged 50−74. Therefore, in Ontario it is recommended that women aged 40−49 talk to their health care provider to make a personal decision about mammography. Women aged 30-69 who have been confirmed to be at high risk for breast cancer should have a screening mammogram and breast MRI every year. The time to go for screening is when you feel fine. If you are ever worried about any breast problems, see your healthcare provider. Mammograms are safe. Mammograms use a low dose of radiation. The benefits of screening and finding cancer early are more important than any potential harm from the X-ray. What happens during the mammogram? A registered medical radiation technologist specializing in mammography will place your breast on a special X-ray machine. A plastic plate will be pressed down slowly to flatten your breast and hold it in place for a few seconds. You will feel some pressure on your breast for a few seconds during the X-ray. This pressure does not harm your breast tissue. Four pictures are taken, two of each breast. The technologist will check the pictures to make sure they are good enough quality for the radiologist to read. If needed the technologist will take additional pictures. You will feel some pressure on your breast. It feels similar to a tight blood pressure cuff. A few women experience pain but it lasts only for a few seconds. If you feel pain during the X-ray, tell the technologist. The technologist may be able to adjust the pressure. The two of you can work together to make it as comfortable an experience as possible. Most women’s breasts are tender the week before and after their period. Book your mammogram for a time when your breasts are not so tender. Some women take a mild pain relief pill, such as the kind you would take for a headache, about one hour before the appointment. Only do this if it will not affect any other medicines or any health concerns you may have. Some experts suggest having less caffeine for two weeks before the appointment to help reduce tenderness. Do wear a two-piece outfit. You will be asked to remove your top. Do not use deodorants, antiperspirants, body lotions, or talcum powders. Metals in these products can show up on the X-ray picture. Where should you go to have a mammogram? To ensure you receive a good quality mammogram, go to a site that has been accredited by the Canadian Association of Radiologists (CAR) Mammography Accreditation Program. URL: www.car.ca or call the Canadian Cancer Society Cancer Information Service at 1-888-939-3333. All Ontario Breast Screening Program (OBSP) sites have CAR accreditation. If you need any help or early appointment you may call Carmit Diagnostic Imaging (CDI) at (416) 781-9375, where we have very modern and hospital grade mammogram machine.